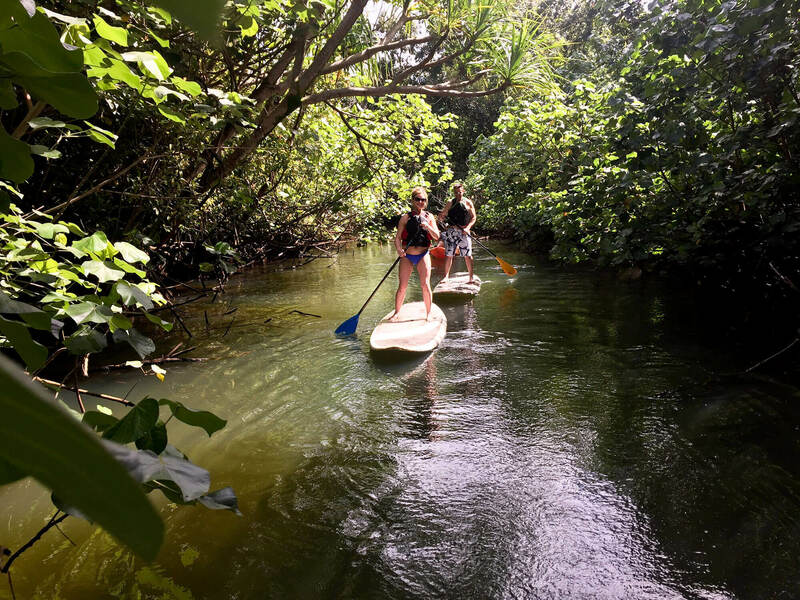 Oahu Stand up Paddle boarding is one of the best ways to experience Oahu's Windward Coast and especially the secluded Kahana Valley River. 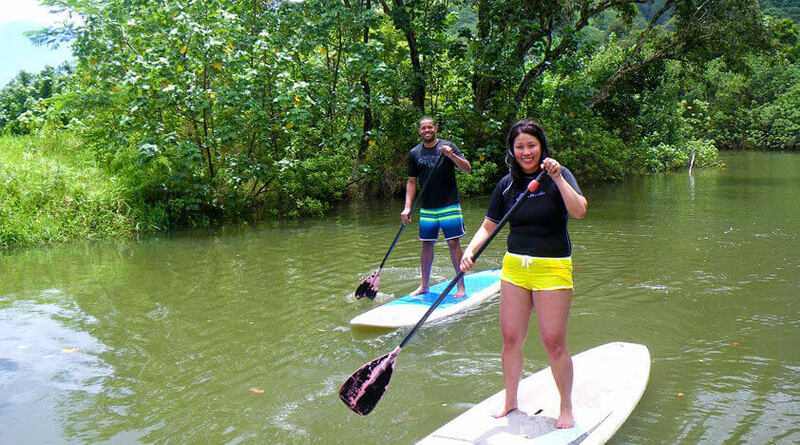 Our Paddle boards are stable and made for beginners, you will be standing in no time. After a quick land lesson to show you the correct techniques, you'll head out on your own to try it out on your self-guided* experience. 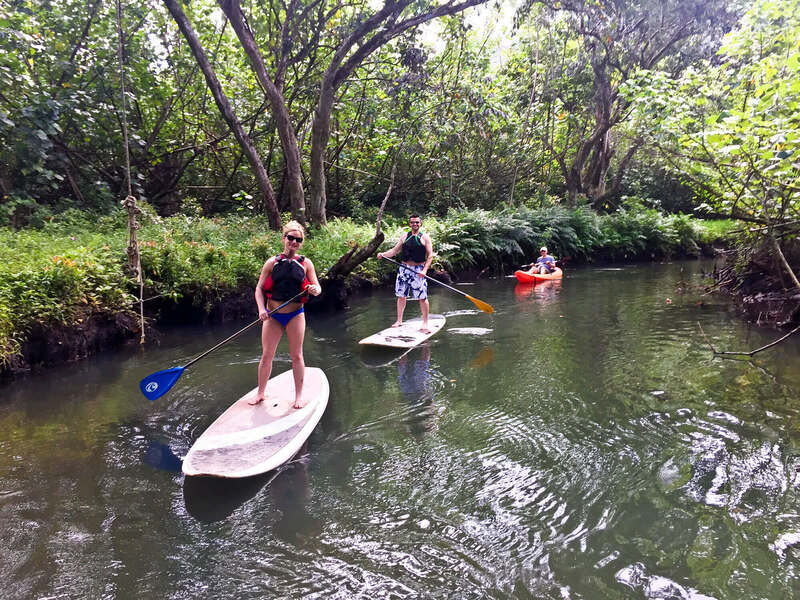 Experience Oahu Stand up Paddle boarding (SUP) in the Kahana River. 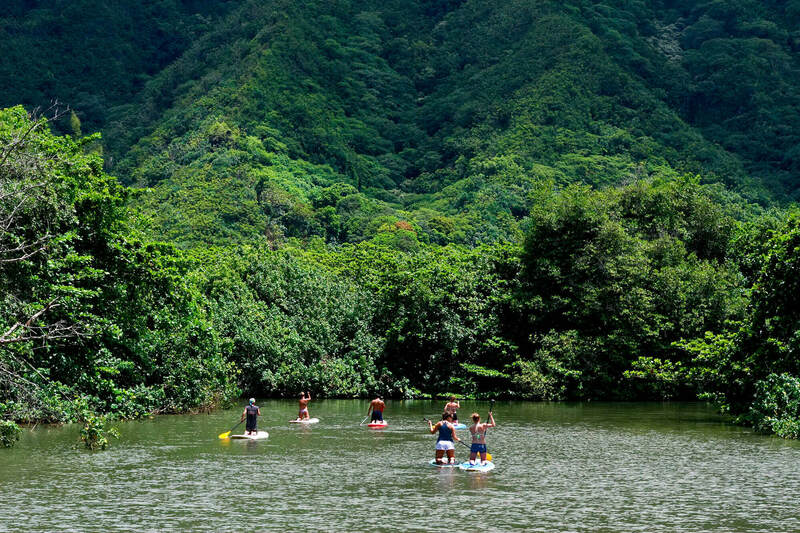 SUP is safe and perfect for paddling on inland rivers like this one in Kahana Valley. 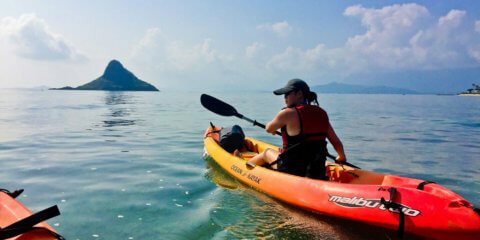 There is always a new adventure waiting for you. You will be paddling through a picturesque landscape of river, mountains and jungle. You’ll have a chance to make a stop at a rope swing or two or try your hand at SUP yoga. This lush valley is culturally and historically significant. 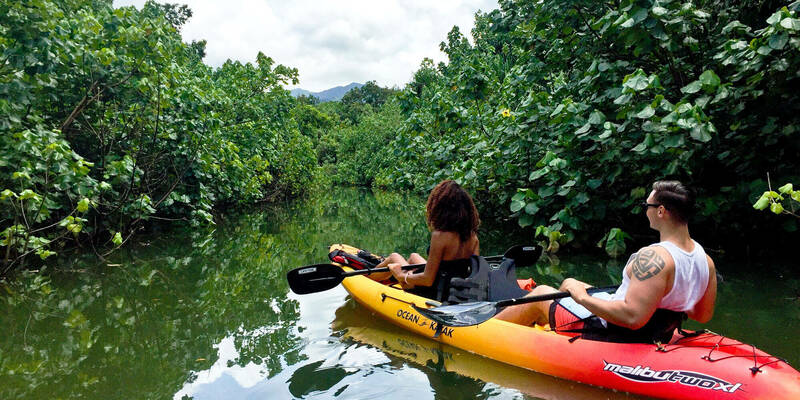 You will get to explore the rain forests of Oahu’s Windward Coast where you get a hidden Amazonian-like feel without the dangers of Anacondas or Piranhas. If you are attentive you will often see wetland birds in the trees and schools of fish rippling under the water. This is a Rain forest Valley and one of the wettest parts of the island, so there is a high probability of rain. We do not cancel bookings for rain. Rain just makes the experience more refreshing and adventurous. 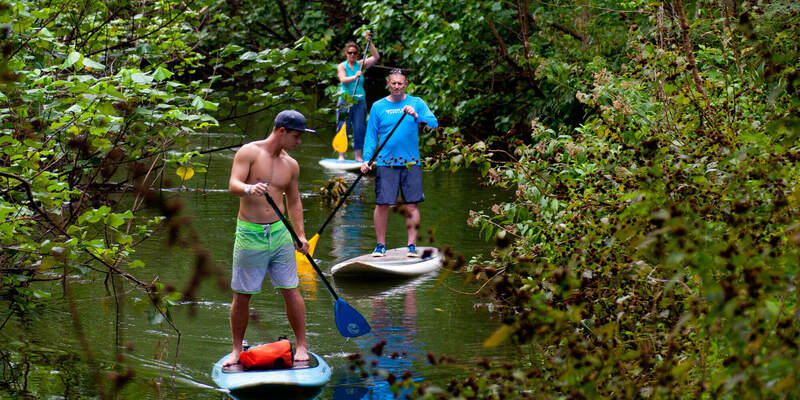 When else can you say you’ve paddled through a Hawaiian Rain forest in the rain? Although, if conditions are dangerous we will notify you as soon as we know to re-schedule the booking. 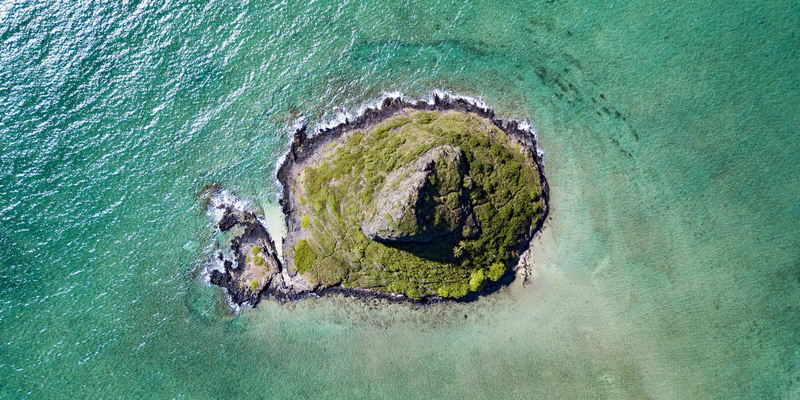 Needless to say, Oahu remains one of the best places to have a family vacation, Stand up Paddle boarding trip or do some SUP Surfing. We will include directions and more detailed info about your self-guided experience in the confirmation email after you book. 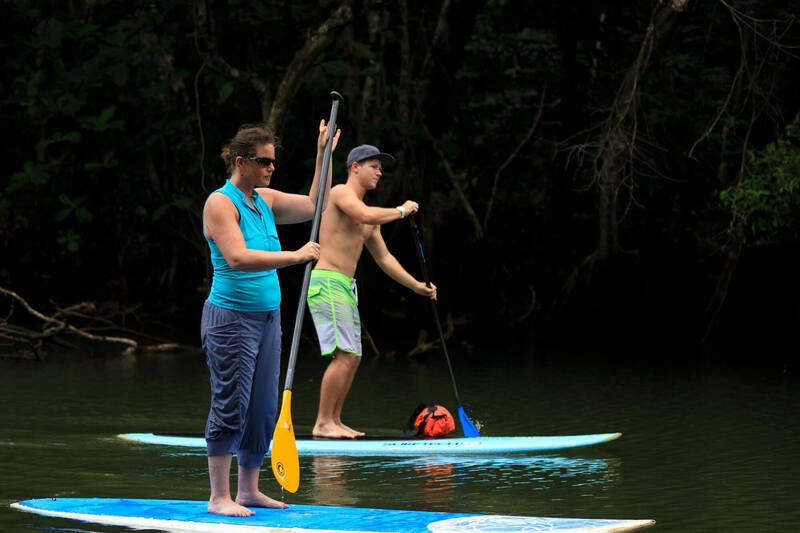 We provide foam pads and straps to help you transport the Stand up Paddle boards to the paddling location. 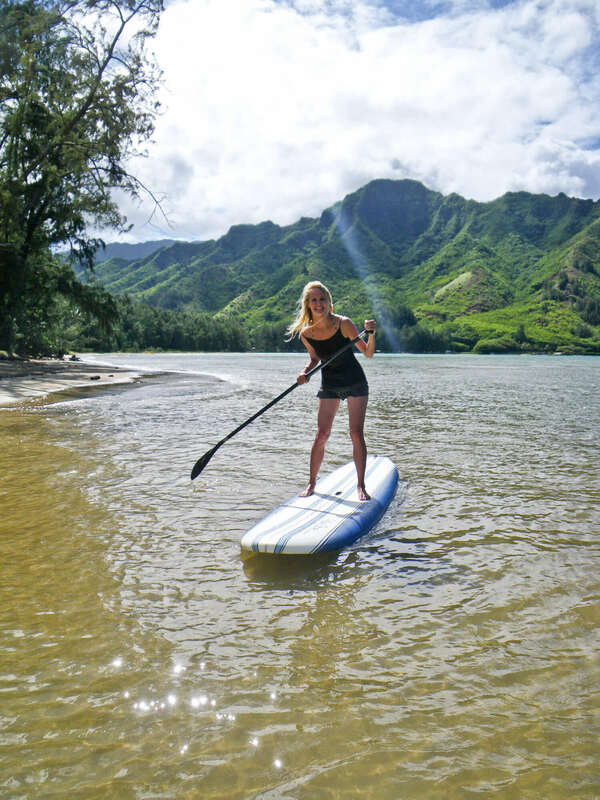 Join us for Oahu SUP Lessons in Haleiwa, Hawaii, the Surf Capitol of the World. 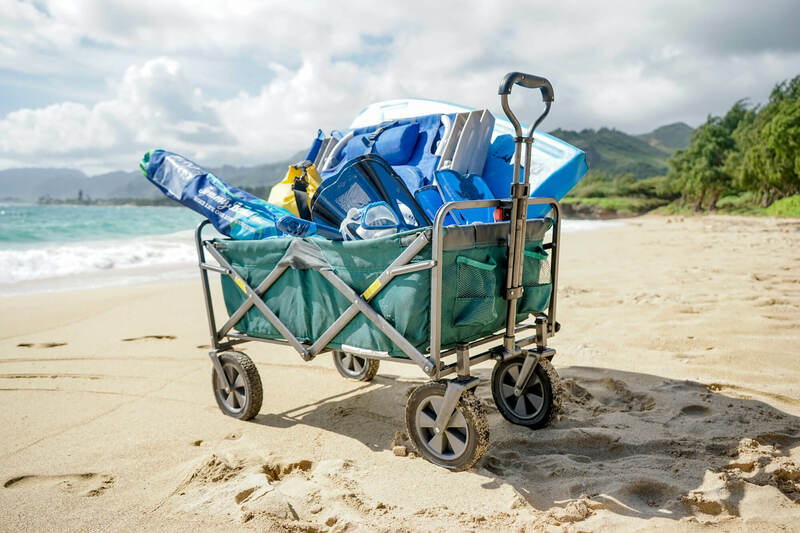 Coming up to beautiful North Shore of Oahu is a must for any visitor to feel the aloha vibes and experience the beautiful water. 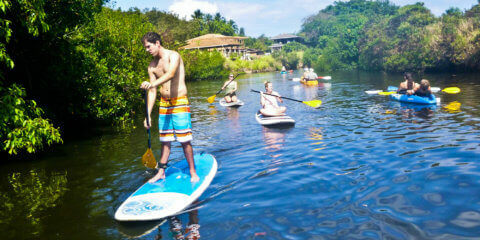 Enjoy smooth and calm stand-up paddle boarding on both the ocean and an inland stream. 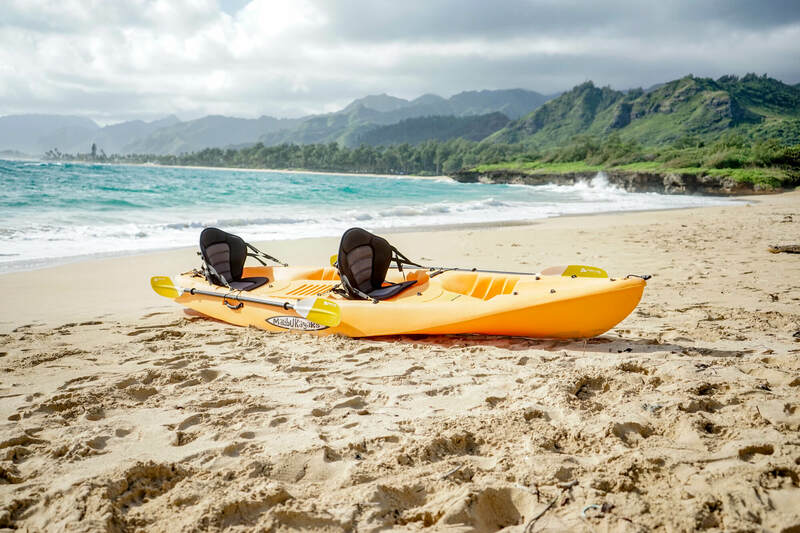 You'll have a chance to see some sea turtles, great scenery and the awesome weather of Oahu's North Shore. 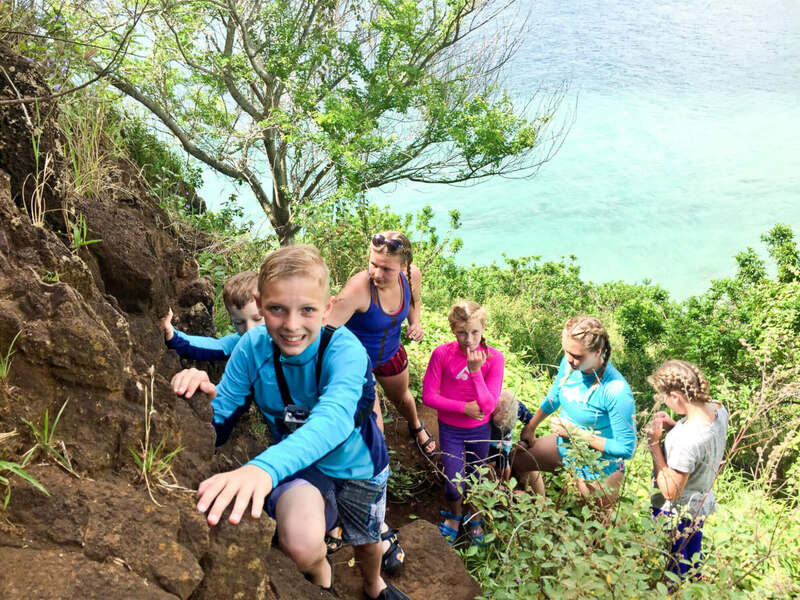 Our guides will get you up and standing in no time.